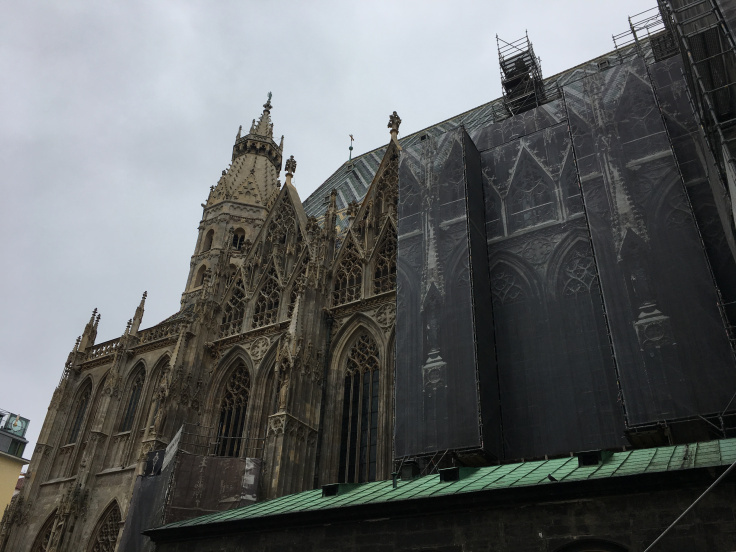 I arrived in Vienna on overnight train from Venice and instantly, I fell in love. The train station is amazing (weird thing to say, but I think it's worth mentioning). The metro was so simple and getting to my hostel, Wombats City Hostel was easy! 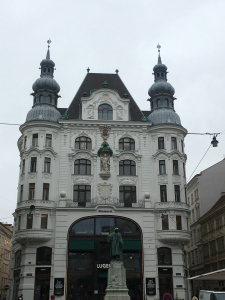 I walked out of the metro and was greeted by the stunning architecture of Vienna and the Naschmarkt, which is the largest fresh market in Vienna. Exhausted but immediately making new friends, I headed out to Schonbrunn Palace with my hostel roomie, Vivienne and Bethany - it was a beautiful, sunny day and it could not have been more perfect to head to a palace and walk around the huge surrounding gardens (even if they are not in bloom). I want to live in a giant palace like this one, can't you tell!! Walking around the palace was exquisite, when the gardens are in bloom, it would look so incredibly beautiful. 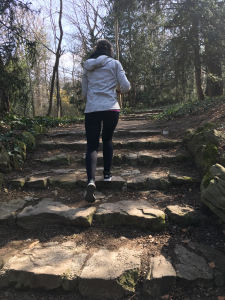 There are hundreds of different paths to take throughout the palace grounds and you can also check out the zoo, if you're so inclined! 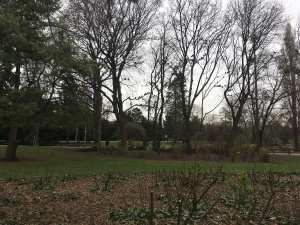 The paths along the gardens are beautiful and perfect for endless wandering and running around! 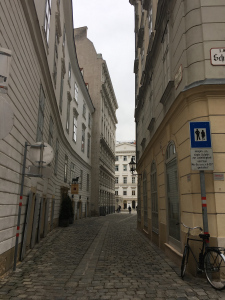 I spent three days wandering around Vienna, falling in love with the simplicity and beauty. Stunning architecture, wide roads, cobbled walkways, majestic palaces, incredibly huge and vintage buildings. 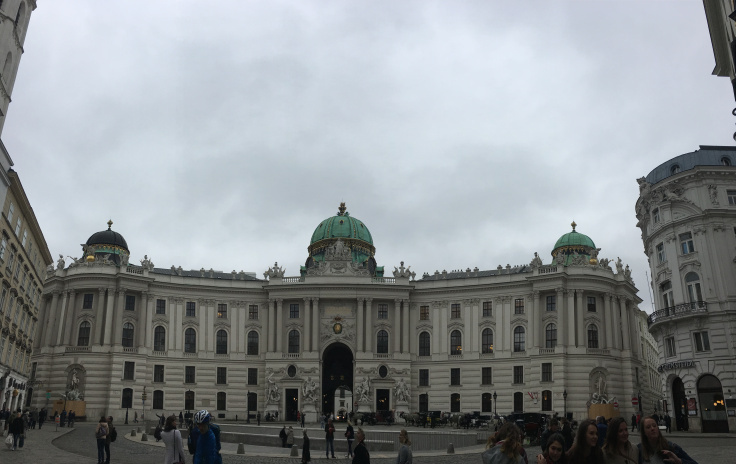 The Hofburg's were pretty mighty fine in Austria and so their palace obviously had to reflect this and it was pretty majestic. It was built almost as a city within a city and takes up the entire centre of Vienna with the rest of the city built around the rest of it. I took the Prime Tours free walking tour through the centre city and it was great, it covered a good amount of history of the city and helped peak interest in certain areas that you might want to explore further. Like cathedrals? Well, Europe is filled with them and St. Stephen's Cathedral is pretty bloody impressive. Then, you take the 343 stairs up the steeple and you get an incredible view of Vienna. Any viewpoint offered over a city is a must to see. St. Charles's Church was pretty amazing too, with a range of different churches and cathedrals scattered around the city! It was a freezing day in Vienna with a bitter wind, so the only way to keep warm was to keep walking. Keep walking, keep getting lost, keep seeing a city you don't know, but seeing beauty everywhere. Even the parliament building, how cool is this building?! Apparently though... Budapest is way better. I'll have to see that another trip. 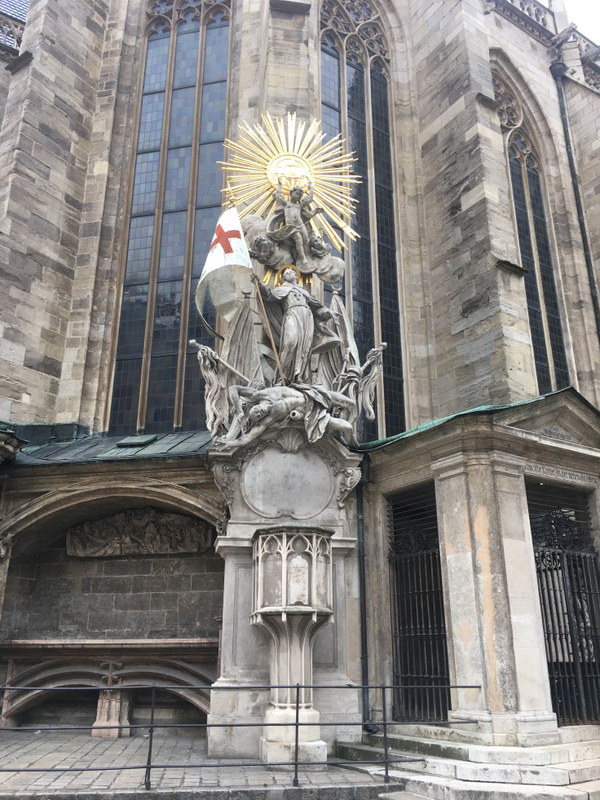 Vienna is also filled with monuments, monuments in particular from the Nazi Regime, it's very humbling to read the descriptions and see the city recognise such a traumatic time in history. Memorial to the Austrian Jewish victims of the Shoah in the Vienna Jewish Ghetto. It also lists the death camps Austrian Jews were sent to. 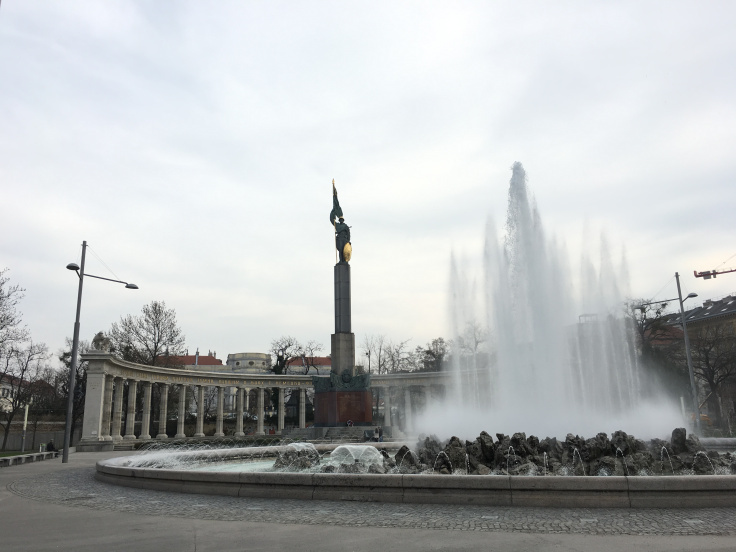 A monument that I stumbled across, not knowing I was in the area, was the Soviet War Memorial or formally known as the Heldendenkmal der Roten Armee (English: Heroes' Monument of the Red Army). 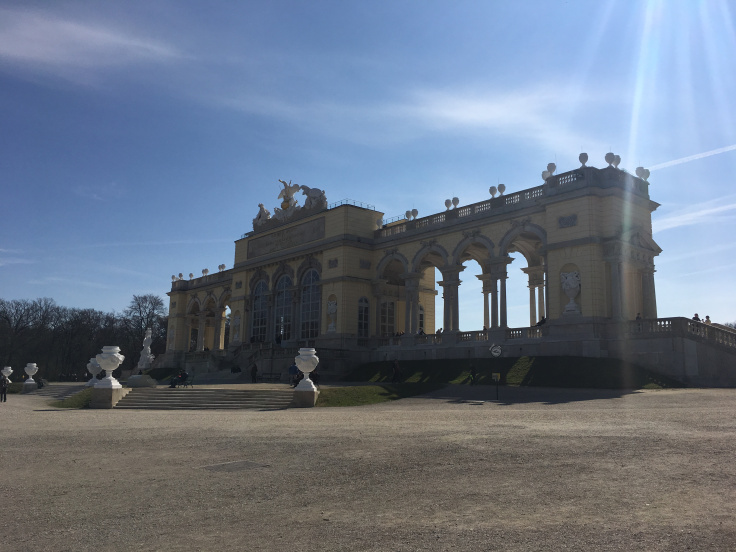 Everything about Vienna, I loved. It wasn't busy with tourists. It was a clean and tidy city. The beauty of the buildings everywhere but also equally, great parks to enjoy downtime and have some nature close by. Stadtpark, shown above also houses a range of statues and the Strauss and Mozart concert Hall.. pretty neat! 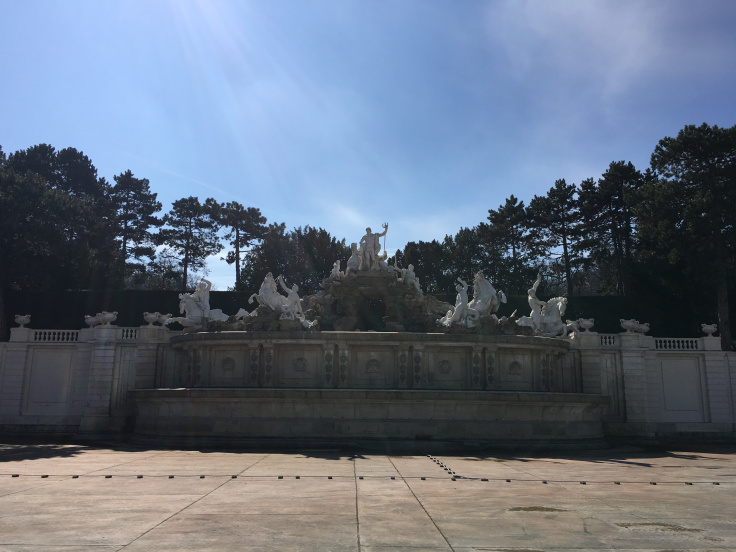 As I reached the end of my final day in Vienna, I went to the Belvedere Palace to see the stunning palace, who wouldn't want to see another amazing palace?! This one with weird statues of animal heads scattered around it... so weird! From the back bottom of the palace garden, how amazing! 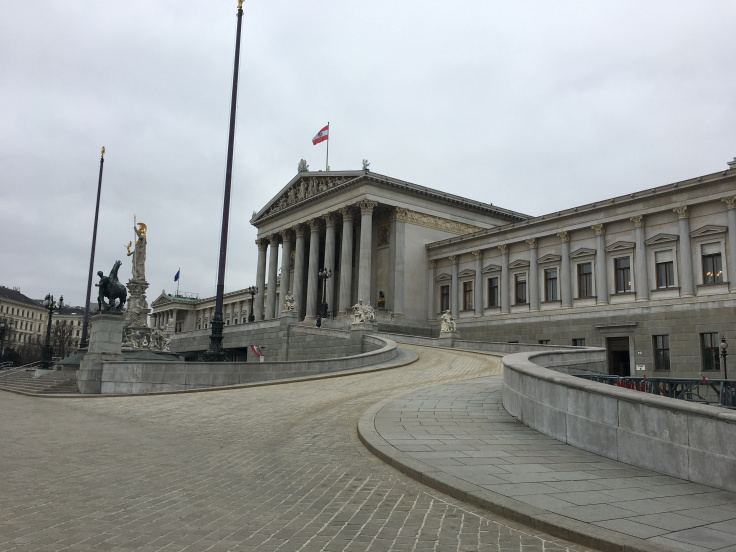 I didn't do much in Vienna in terms of activities, tours and such, but I loved the city! It is the first European city that I have stayed in that I could seriously consider living. I haven't felt that about any city so far, but this one I did. Not sure how I would go learning German, but maybe it's time to learn something new! 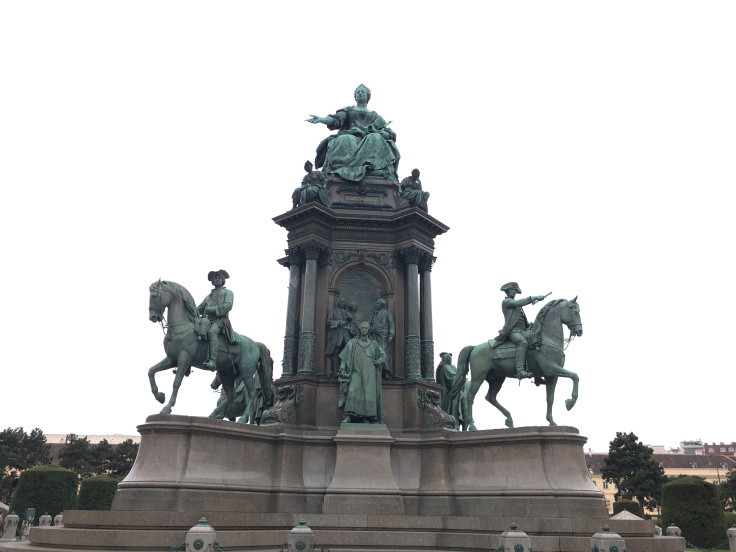 If you love a city that is beautiful, filled with history, close to a lot of other countries, then Vienna is a great place to consider. I will be back to experience the Alps in snow season. I can imagine it will be exceptional. Go to Vienna. You won't regret it.